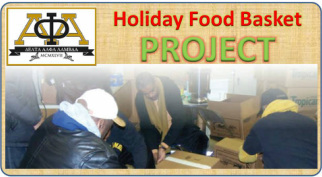 Several activities that the brothers are involved in need your financial support. We encourage you to make a difference by making a donation. As brothers of Delta Alpha Lambda and the Delta Alpha Lambda Foundation, Inc., we are committed to being a beacon of hope to those who need help. As such, we are very appreciative of any donation that you are able to give, large or small. It is our desire that both you and the brothers of the chapter are able to make a difference in the lives of our youth in the community. Please make your tax deductible donations to The Delta Alpha Lambda Foundation, Inc. which is a 501(c)3 organization. When making checks payable to the foundation, you may specify in the check memo field where you wish to designate your funds. If you wish to donate items to the chapter, please contact the president or secretary so that proper arrangements and acknowledgments can be made to the donor. Delta Alpha Lambda Foundation, Inc.